During this Fatima Centennial (1917-2017), your Rosaries for the defeat of ISIS will also be offered up for the conversion of sinners as part of the worldwide Fatima Centennial Prayer Crusade of Reparation. Recently, Bishop Oliver Dashe Doeme of Nigeria was praying before the Blessed Sacrament and asking Our Lord how to combat the horrific terrorist attacks of ISIS affiliate, Boko Haram upon the people of his diocese. Suddenly, Jesus appeared to the bishop with a sword in his hand. When Jesus handed the sword to the bishop, it turned into a Rosary. 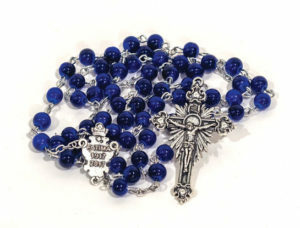 Jesus repeated three times: “Boko Haram gone.” This confirms that it is heaven’s directive that we battle and defeat ISIS through the power of the Rosary. Yes please send me email notifications of news, events, and other updates. If you would like us to mail you a FREE Fatima Centennial Rosary (Lapis Lazuli glass beads with a beautiful Centennial Centerpiece) please enter your street address here. Increase in devotion to Our Lady. The establishment of the Reign of the Immaculate Heart of Mary in both spiritual and temporal society. 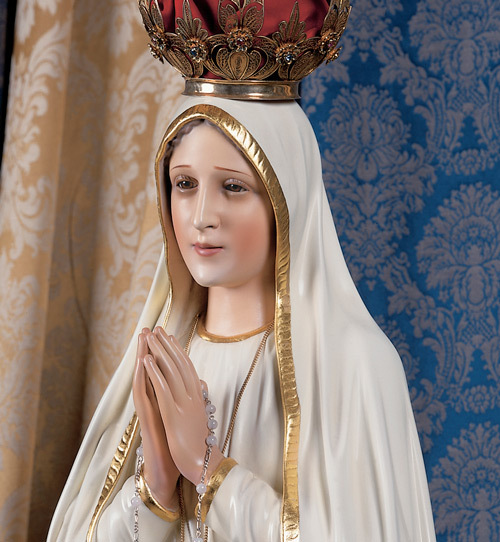 The restoration of good customs both in family and society as an indispensable condition to bring peace to the world (2nd part Secret of Fatima). To obtain the special protection of the Immaculate Heart of Mary for all those who are being prosecuted expelled from their homes, abused and martyred for their Catholic Faith in many parts of the world. The conversion of sinners for the salvation of their souls. 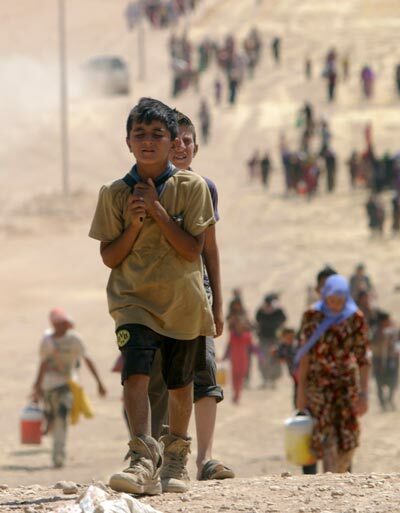 In light of your overwhelmingly generous response in reaching our million Rosaries goal in just one week, we are extending our goal to 5 MILLION ROSARIES TO DEFEAT ISIS. As of the beginning of 2016, we were at 1.5 million. Additional Rosaries pledged will continue to be added to the total based on your pledge and will continue into the coming year. Please forward this holy effort to 3 or more friends whom you know will join in this worldwide Marian movement to defeat ISIS through the power of the Rosary. © 2016 by The American TFP. All rights reserved.